SOME PEOPLE ARE MAKERS, SOME ARE TAKERS: We’ve been hearing that a lot from the top of the Republican ticket this fall. But however you plan to vote, there’s no denying that the hive of activity that is 3rd Ward comes from the makers. It’s a school, it’s workshops, it’s a hangout space. The membership is diverse in age, ability, and skills, but they all come to the repurposed warehouse in Williamsburg to work, to learn, and usually to share. Brooklyn Artisan visited on a recent Sunday evening and the place was buzzing. Customer service rep Erica Eudoxie has worked at 3rd Ward for 18 months and taken 13 courses. Her long-term interest is jewelry making. The only takers, if you can call them that, are the folks taking the classes that range from an intense one-day session up to courses that run over eight weeks. You can take Embroidery 2.0, or choose one of 20 offered in Fashion, or 8 in Welding & Fabrication, or 20 in Woodworking, or 10 in Web Design, or 16 in Drawing, Painting & Illustration. 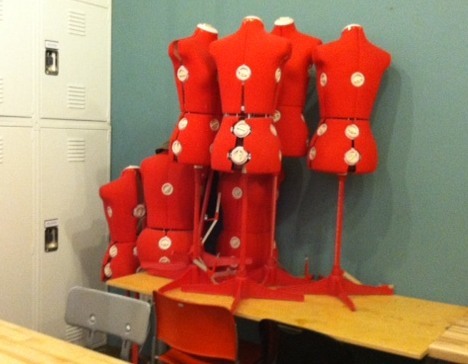 Like wallflowers at the eighth-grade dance, dress dummies huddle against the wall between classes. The sewing room serves some other purposes, too. The wood and metal makers’ professional spaces have recently been separated from the student spaces. To work in either area, you must pay the Pro rates ($599 a month, or $479 monthly at the annual rate) and demonstrate your skill level to a shop manager so that you are not a danger to the high-powered tools, to other workers or to yourself. The metal shop includes a large work area with metal cutting and welding tools and shielded work stations. The even larger woodworking loft has materials-storage racks, table saw, lathe, drill press, mortising machine, an advanced dust-handling system, plus shop brooms and industrial size dustpans neatly stowed in plain sight. Separately vented yellow lockers stash potentially toxic and fume-producing wood finishing chemicals; a covered can that’s emptied every night takes care of oily rags. Business training is available as well, both in structured classes and in informal, water-cooler consulting. Small-business bookkeeping. Using social media in marketing. Presentation skills for attracting investors. Have there been any big stars to brag about, any bold-face names who’ve passed through 3rd Ward on the way to success? 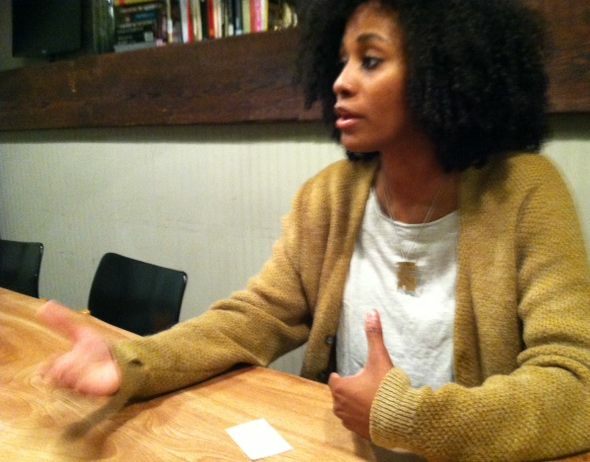 “It depends on how you define success,” Erica says. “If it’s being able to quit your office job and make a living with your craft, then yes, definitely.